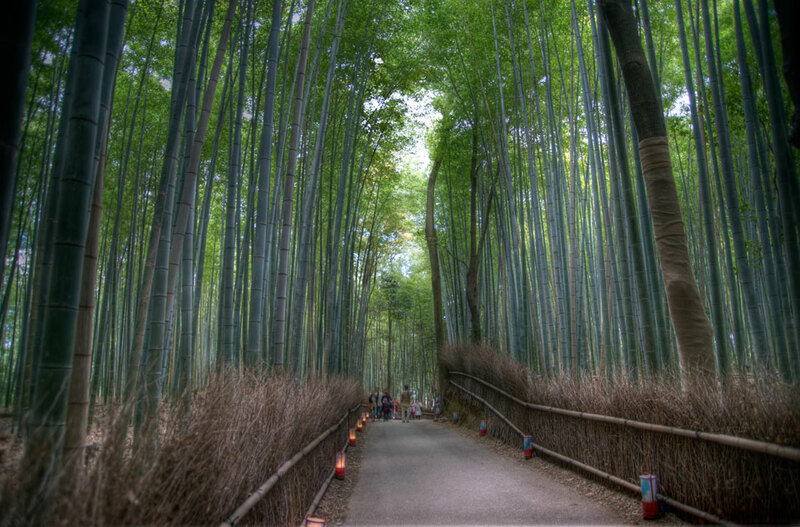 This is the bamboo walk in Arashiyama, from a photo earlier in the year. It is getting close to the end of the year and the weather is getting a little bit colder. It is always good to see the reports on the news of first snow falls in Hokkaido. Even though Tokyo only rarely gets snow, and normally not in December, it feels more like Christmas when you hear of snow. Tokyo weather is normally mild at the end of December, with blue skies. In the sun it can be very relaxing, but the shaded areas can feel a bit cold. The lack of a driving cold wind makes winter one of the enjoyable seasons for Japan. Maybe, if I take a trip up to Hokkaido the story would be a bit different.